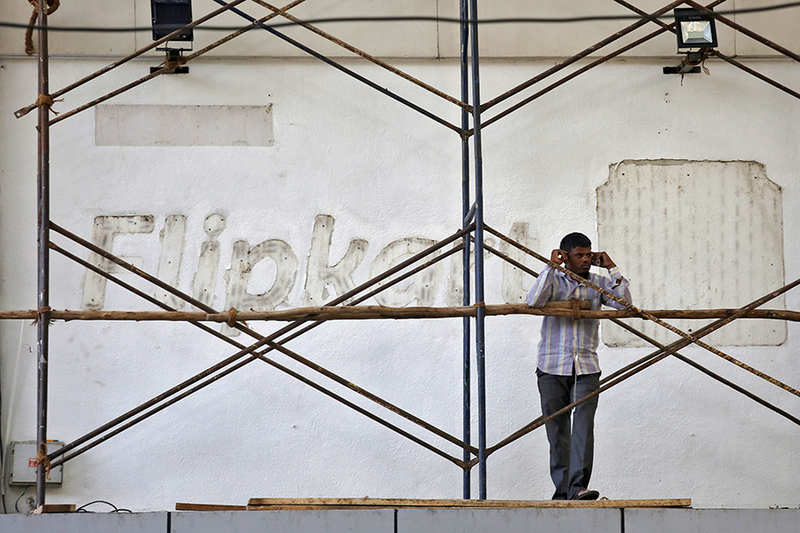 Walmart Inc., with its purchase of Flipkart, India’s biggest ecommerce company, has found itself a way to circumvent the country’s rules on foreign direct investment (FDI) in multi-brand retail — There are some people in India who believe the deal is against "national interest”. The other side of the argument that what Flipkart has done on its own thus far — building a supply chain that made it possible for Indians located pretty much anywhere on the subcontinent, order goods they would never have had access to otherwise — will be amplified manifold, with the backing of Walmart. Whichever school of thought one belongs to, what is clear is that Walmart’s $16 billion purchase of 77 percent of Flipkart, which was announced on May 9, has rekindled the call for India to take another look at its rules on FDI (foreign direct investment) in retail. And why should not one large set of beneficiaries be the organised offline retailers, is a question that is seeking fresh answers from India. The story thus far includes a narrative of offline versus online, and the pressure that the offline retailers have felt due to the billions of dollars that the online commerce businesses, Flipkart et.al, found at their disposal almost entirely because deep-pocketed foreign investors backed them — from New York’s Tiger Global Management to Japan’s Softbank Group Corp.
And Walmart has just provided a genuine multi-billion dollar exit to many of those investors, strengthening the case for even more investments in India’s online commerce startup scene. The Walmart-Flipkart transaction should therefore now “get the regulators to sit up and take notice, given that the principle of FDI not being permitted for FDI in multi-brand retail is there,” TP Pratap, co-founder at Qwikcilver Solutions, said in a phone interview. Pratap and his co-founders have built the technology that powers much of the gifting and gift-card solutions used by India’s largest retailers. The idea is that there could be other “offline biggies” in the mature economies that might be looking at India, but are hindered by the existing rules. These large companies might be encouraged by Walmart’s assessment that India has a growth story in retail that warrants the kind of investment it has made in Flipkart. With the right regulatory framework, what’s to stop India’s own large businesses such as the Tata Group to strike deeper relationships with the global retail companies than their existing ones which have barely scratched the surface, in the context of the potential of India’s retail market that everyone seems to agree upon. Hypothetically, companies such as Tesco, which already has a tie-up with the Tatas, could massively scale up the the size and scope of their partnership. Europe’s Carrefour Group is another example of a global player that might return to India, if the rules are more conducive. And if India is to see its own retail businesses reach the kind of scale one sees in China, with retail chains of thousands of stores, an argument can be made as follows: unshackle the local business houses and open up FDI in multi-brand retail and see them grow at the proverbial 10X.